Home » VW Tiguan » What’s inside the Tiguan? The 2019 Volkswagen is sitting on its throne as King of the Concrete Jungle but is always up for a good time. This sporty SUV has a spacious interior and lots of features to give you a comfortable ride. We want to show you the 2019 Volkswagen Tiguan interior features to give you an idea what it is like behind the wheel. Let’s get started. When you sit in the driver’s seat of the 2019 Volkswagen Tiguan, you can adjust the interior to fit your needs. The Tiguan has 7-seat configuration with 3rd-row seating and 40/20/40-split folding 2nd row. You can use the rear-view camera system to help you see what’s behind you as you park or get out of the driveway. You also have a Rear Traffic Alert system as well as three 12V outlets to help you recharge your devices. On the 2019 Volkswagen Tiguan S, you can play the music you love with the power of your finger tip. 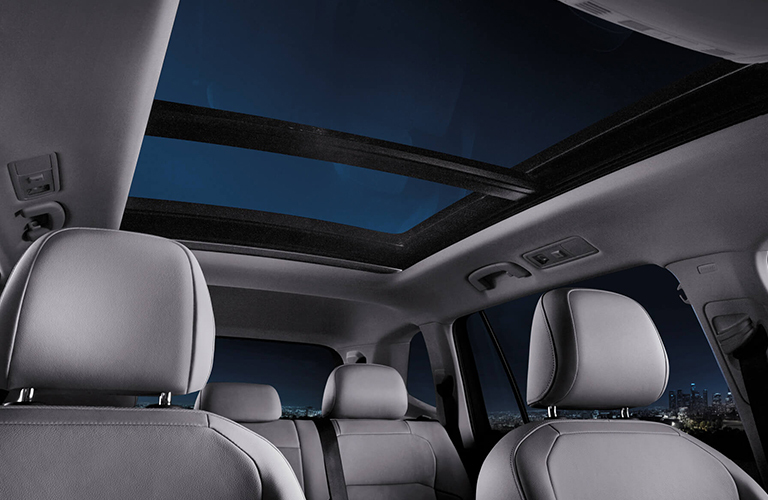 The Tiguan has an entertainment system with a 6.5-inch color display and Volkswagen Car-Net® App-Connect. You can also listen to the music of your choice with the standard Bluetooth® technology with audio streaming. The 2019 Volkswagen Tiguan is prepared to give you a better driving experience. After looking at the 2019 Volkswagen Tiguan interior features, you now have a better idea of what this model can do. We hope we helped you find what you were looking for. There are other exciting aspects of this vehicle that you can explore. If you want to learn more about our available Volkswagen vehicles, you can check out our online inventory to see what we have available and schedule a test drive with us at Speedcraft Volkswagen today. How much space is inside the new Tiguan? What’s inside the Tiguan Limited? This entry was posted on Friday, January 25th, 2019 at 3:04 PM	and is filed under VW Tiguan. You can follow any responses to this entry through the RSS 2.0 feed. You can leave a response, or trackback from your own site.